Although he excelled at both hockey and golf during his school days, Alex Killorn knew exactly which sport gave him the best shot at a pro career. 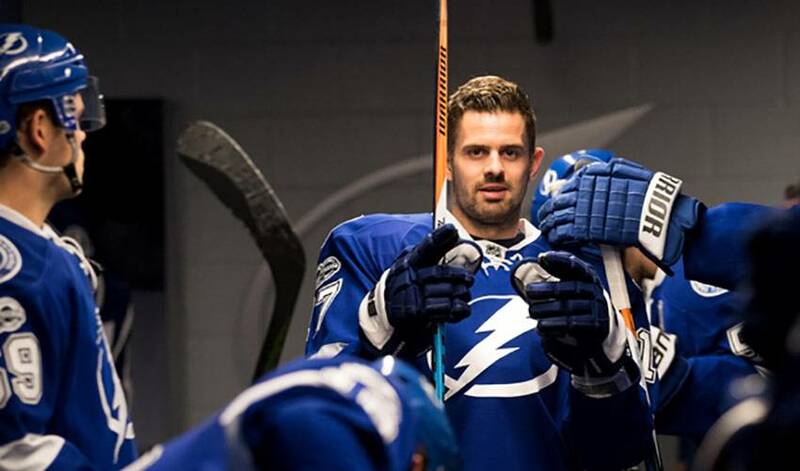 After playing midget hockey for the Lac St. Louis Lions in 2005-06, Killorn, who grew up in Beaconsfield, Quebec, spent two years at Deerfield Academy, an independent, coeducational boarding and day school in Massachusetts. On the ice, he captained Deerfield’s hockey team as a senior. On the greens, Killorn helped the school team go undefeated, also in his senior year. There was no doubt Killorn, whose childhood idols were Joe Sakic and Pavel Bure, was a genuine hockey talent. Taken in the third round, 77th overall, by the Lightning in the 2007 NHL Entry Draft during the summer of his senior year at Deerfield, Killorn played collegiate hockey with Harvard. He spent four seasons with the Crimson while earning a degree in government. Killorn, who had eight career game-winning tallies at Harvard, became Harvard's first 100-point scorer (109) since Tom Cavanagh 2005 and the first 50-goal scorer (53) since Tim Pettit achieved the feat in 2004. He’s carried over that success into the NHL. In 2016-17, the 28-year-old netted a big-league best 19 goals. Killorn is looking to play his part in helping the Lightning return to the playoff scene after the Atlantic Division club failed to make the cut last season. With Tampa Bay’s regular season set to start on October 6 against state rival Florida, any thought of indulging in his favourite hobby outside of hockey has been put on ice for now. Which PGA player would he choose to play 18 holes with?